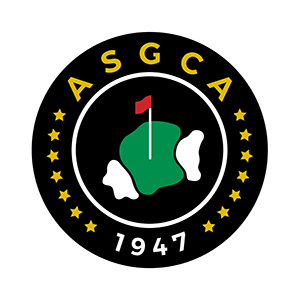 Founded in 1946, the American Society of Golf Course Architects (ASGCA) is the professional association representing golf course architects in North America. Our members, past and present, represent the most acclaimed and experienced design professionals in the golf industry, including legendary names like Ross, Langford, Jones, Thompson and Maxwell. Our collective work spans the globe, ranging from the most famous, storied courses in golf to local favorites with deep community roots. ASGCA is the leader in advancing the interests of golf course architects and the profession of golf course architecture for the benefit of its members and their clients, the golf industry, communities and the game of golf. Our members aren't just great designers who craft golf courses that are technically, strategically and aesthetically excellent, they are also great activists for the game, the industry and its many worthy causes. As with any consulting professional, the sooner a golf course architect is hired in the planning process, the more value he/she can offer a project. ASGCA architects have extensive experience in selling projects and administering the design process, which is crucial for rallying support and keeping projects on task while avoiding common pitfalls. When you choose an ASGCA architect, you can be certain you are hiring the best the industry has to offer.